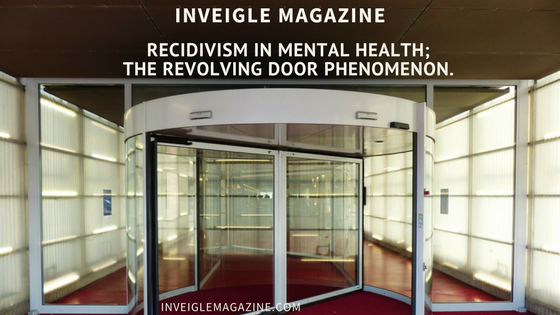 Recidivism In Mental Health; The Revolving Door Phenomenon. Relapse: An increase in intensity, and duration of symptoms. Recidivism: To relapse into a previous condition, or mood or behavior (return visits to a crisis prevention center, or a long-term treatment facility for an individual with mental illness). Limited access to resources is a major factor of relapse and recidivism. I was at a loss for words when a client said to me," My homeboy burst out the window of the neighborhood store; stole a bag of chips and a soda, and waited for the cops to come, and while being placed in handcuffs he told the cops,' I am hungry!" 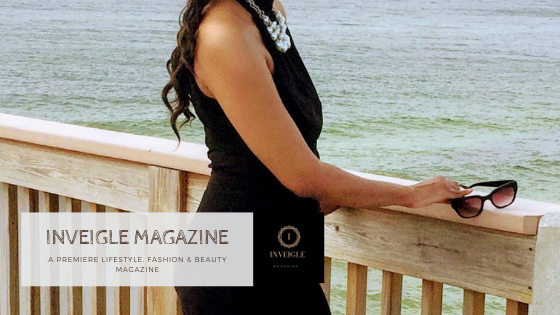 The young man who was arrested was taken to a crisis prevention center for a psychological evaluation under Florida’s statute 394.451-394.47892 baker act which is a 72-hour involuntary commitment based on the premises that the individual is a danger to self and others. I later found out that the young man had a history of mental illness; was unemployed and do to changes in social welfare policies no longer qualified for the supplemental food nutrition program(food stamps). 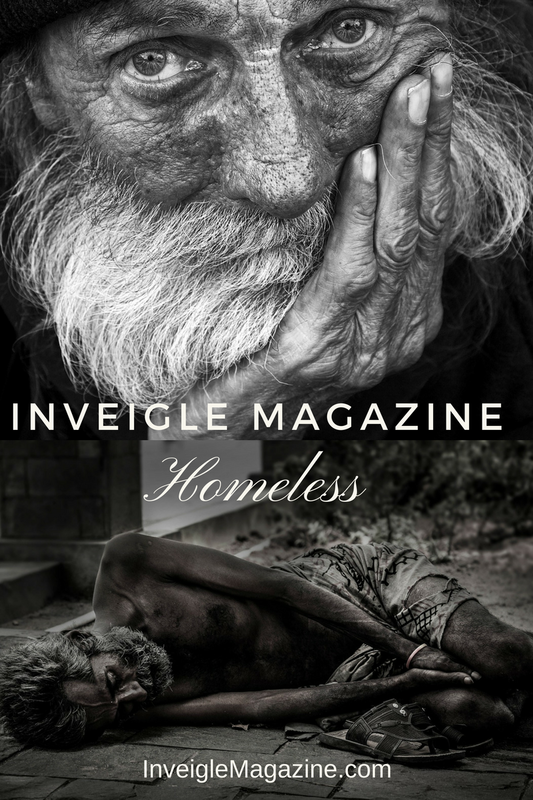 Homelessness: I can recall a young lady who was homeless repeatedly saying,” I have no family! I have no place to go; I can't go back to the homeless shelter! Please find me a placement; maybe the police can help me?" Feigning mental illness, and or malingering are defiantly issues of concern; have you ever heard the phrase," you got to fake it to you make it?" When faced with the possibility of discharged the young ladies psychiatric symptoms worsen. According to the National Alliance of mental illness (NAMI)," An estimated 26% of homeless adults staying in a shelters live with serious mental illness." According to Social solutions.com," 564,708 people in the U.S. are homeless. According to a recent report, Social Solutions.com over half a million people were living on the streets, in cars, in homeless shelters, or in subsidized transitional housing during a one-night national survey last January. Of that number, 206,286 were people in families, 358,422 were individuals, and a quarter of the entire group were children." Stress: The recent natural disasters that decimated areas of Huston Texas, and wreaked havoc on areas of Florida this year, and yes I talking about hurricane Harvey and hurricane Irma, but let us not forget about hurricane Katrina which occurred on August 30, 2005. Natural disasters Have the prowess to trigger mental illness, and or increase the positive or negative symptoms associated with mental illness. physical abuse, sexual abuse, emotional abuse, and natural disasters are major triggers and can have a profound effect on both physical and mental health. 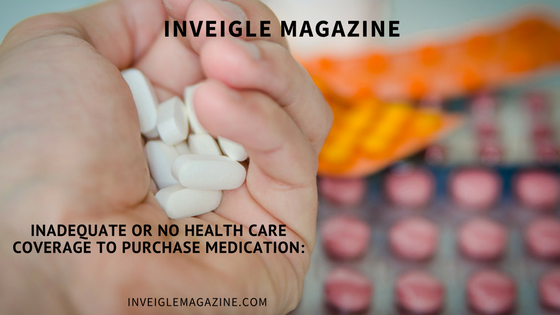 Inadequate or no health care coverage to purchase medication: There are various treatment approaches that are used to reduce the severity of mental illness, and to promote recovery; for example individual and group therapy, psychological rehabilitation, or psycho-social rehabilitation, dialectical behavior therapy, cognitive therapy, behavioral therapy, and medication. 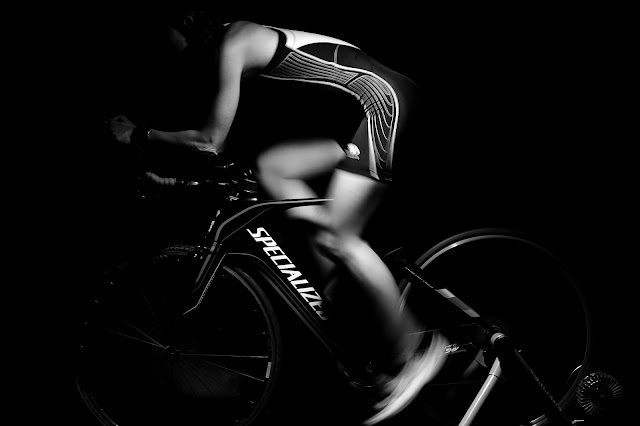 However, treatment should be individualized, and client-centered. The various approaches can be used independently or in combination; medication and conjunction psychotherapy is the predominant means of treatment. The Nation Alliance of Mental illness proclaims," Only 41% of adults in the U.S with mental health condition received mental health services in the past year...Adults in the U.S living with mental illness die on average 25 years earlier than others largely due to treatable medical conditions." The citizens of the U.S. of America struggle with the high cost of adequate health care! Poly-substance abuse is comorbid with mental illness, but which came first," the chicken or the egg?" The satiety of biological needs (food, water, shelter, etc.) are paramount, and quality of life takes the back seat. Should the United States of America adopt a universal health care system, or should we turn our back and pretend that the problem does not exist?